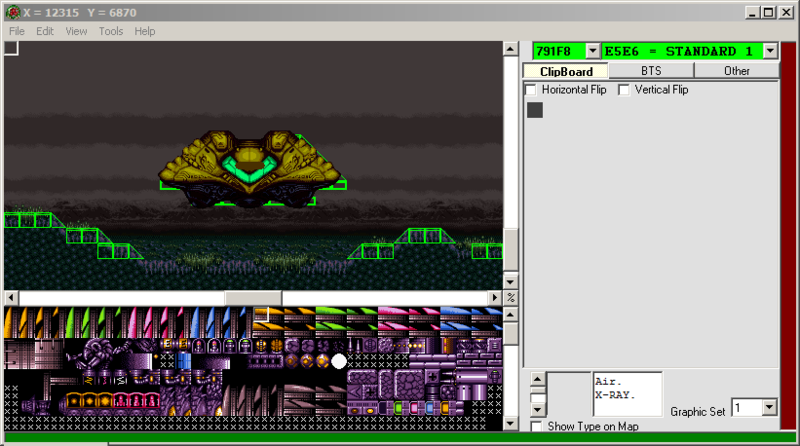 Super Metroid Integrated Level Editor, by Jathys. Edit by GF_Kennon: I have included my Wine copy, it functions mostly in Wine, but it wont function fully, but most of SMILE is better than none right? Caution, its pretty unstable, but I don't know how much, some things didn't want to work and they crash it, but as far as I know, it should work for basic stuff. Oh my darling SMILE, where would we be without you? Super Metroid ROM hacking might as well not exist without this. Enough said. Possibly the first SM hacking tool. The Wine version didn't load with Wine v1.6.2 (in ubuntu), but it does say it's better to use Windows up there. SMILE is love. SMILE is life.